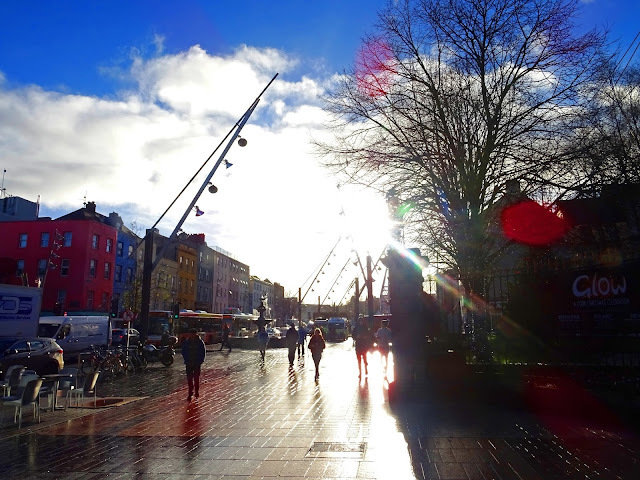 Cork is the third-largest city in Ireland and it's beautiful. The streets are lined with old-fashioned stores and independent traders, with little markets hidden in between. The city is stuffed full of colourful buildings and clever art built into every day objects like the street lights which we heard were meant to mimic ships' sails. We went into the city with no plans and spent ages just walking around enjoying the view. If you get tired of the bright colours and quirky artwork, walk down the street to find more traditional buildings along the banks of the River Lee. 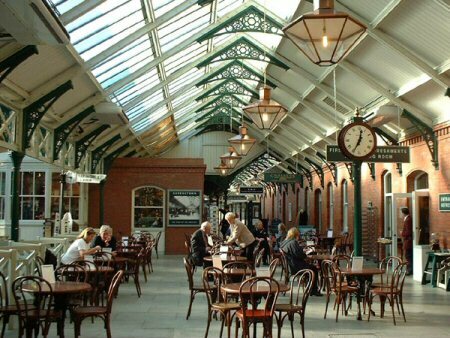 The English Market is Cork City's biggest indoor market. It sits in a beautiful 19th century building and sells every kind of food you could possibly imagine. If you're planning to visit, don't make my mistake of having breakfast - instead head down to the market and see what you can find. There was everything from fish mongers to bakers, handmade cheeses and a huge stall selling the best salads I've ever seen. I think this is the first time I've ever been annoyed about not feeling hungry! 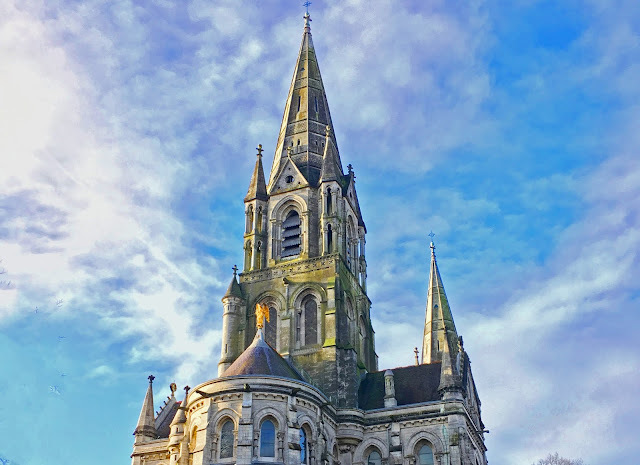 St Fin Barre's Cathedral is a short walk from the city centre on the South side of the River Lee and it's well worth visiting. The cathedral sits on a site that's been used for worship since the 7th century, and the building itself was worked on for three centuries, finally being completed in 1879. Considering how close it is to the busy city centre, it's incredibly peaceful. While we didn't get a chance to see inside we walked around the grounds enjoying the view for quite a while. Whether you're religious or not, it's worth visiting just to take in the gorgeous surroundings. This one is definitely not for the faint-hearted. Cork City Gaol lies on the outskirts of the centre and has a huge amount of history within it's walls. The building was a jail from 1824-1923, with the type of prisoner being held changing over time. In 1927 the building became home to Cork's first official radio station - although a national station replaced it, they continued to broadcast from the prison until the 1950s. After the radio station left the building became derelict before being restored and opened as a museum in 1993. They still haven't restored all of it - there's some corridors behind perspex that show how it was before the work started, and it's amazing to see the difference. While I don't think it's haunted it's definitely creepy - especially if you're with someone like Dad who thinks it's funny to try and make you jump the entire time you're there - I needed a calm walk and a coffee after this stop! Next on the list was Blarney Castle, set in the most beautiful gardens I've ever seen, although of course the main attraction isn't the potential for amazing Instagrams. 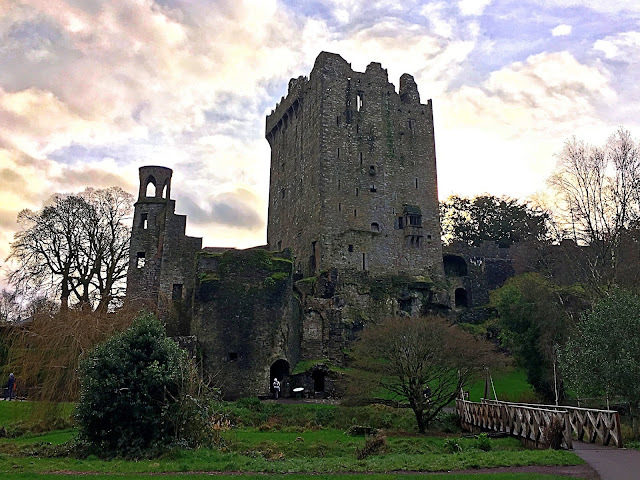 The Blarney Stone sits at the top of the castle and legend says that if you kiss the stone you'll have the gift of the Blarney (eloquence). Be warned, it's a long walk just to get to the castle, followed by a long climb up to the stone before dangling upside down over a sheer drop to kiss the stone, so if you hate heights (or the gym) then I'd give this one a miss. We didn't kiss the stone as Dad was with me and I didn't think his heart would cope with the climb, but it's still worth a visit just to take a wander through the grounds. Two rivers run through the estate, with waterfalls and pretty bridges in abundance. We also got there just in time for sunset which made the sky look like it had been painted. 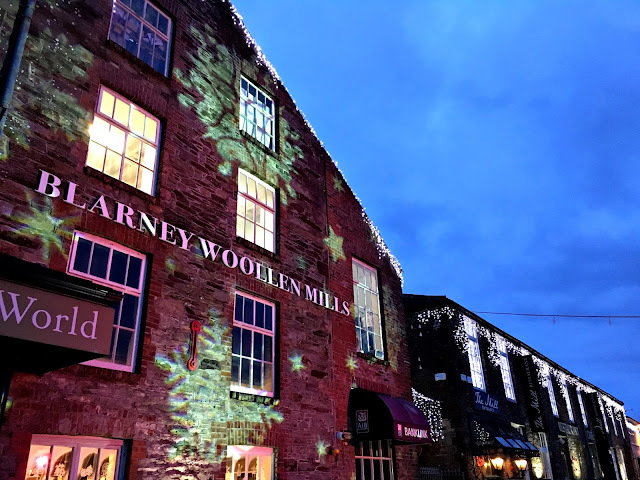 Blarney Woollen Mills is a shop with a hotel and amazing restaurant. Just opposite Blarney Castle, it's perfect to stop for a drink to warm up after the long walk.We were told that when the mill closed one of the workers set up a hut on the land selling woollen products, and it did so well that he was able to buy the building and move his shop from the hut. We stopped for a late lunch in the canteen style restaurant; the food was very reasonably priced, fresh and tasted great so I'd definitely recommend a stop here. I did of course do some shopping while I was there - be warned, the shop is quite pricey but if you fall in love with something then buy it because you won't find it anywhere else. 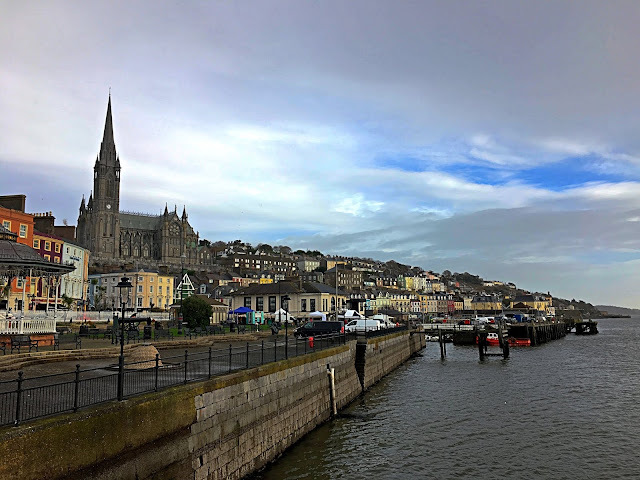 Cobh is a small town with a lot of history. It's one of three main ports for Cork so if you arrive on a cruise ship this will likely be the first place you see, and while it is well connected with frequent trains I would recommend stopping to explore the town itself. Cobh was originally called Queenstown and it was the last stop the Titanic made before it sank. The town has beautiful buildings, peaceful parks and Instagrammable houses on every street - I'd definitely recommend spending some time here. Cobh Heritage Centre is a museum next to the train station in the old station building. 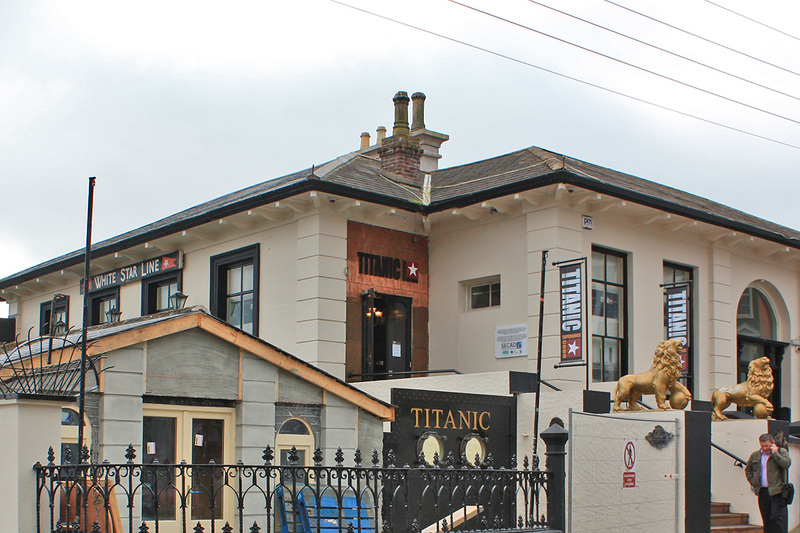 While it does mention the town's history with Titanic, the museum focuses on delving into the past of the town itself as well as it's people. During the 1840s Cobh was the largest port for immigration in Ireland, so a lot of the museum looks at what happened and why so many people left. Unfortunately we ran out of time, but I definitely want to go back and next time this will be high up on the to-do list. One of the most exciting attractions in Cobh is the Titanic Experience. When you "check in" you receive a boarding card - each one has the name of a different passenger who originally boarded the Titanic in Cobh. You experience boarding and life on the ship, before witnessing what it was like to be on board as the ship was going down. In the final room you discover whether you (the name on your boarding card) survived. We had to leave at 1pm on the second day so we didn't have time to do the experience and I'm gutted. If you have a little more time I would absolutely recommend you take a trip to the original White Star Line ticket office, it will be worth it. Cobh is a town that's very connected with all parts of their history, not just the Titanic. Throughout the town they have a number of statues, most of them commemorating the town's history. 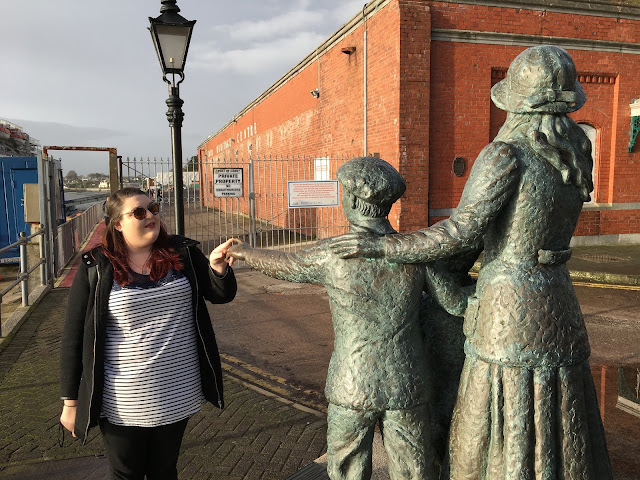 This statue remembers Annie Moore, the first immigrant to the United States to go through the Ellis Island facility in New York harbour. She left Cobh on her 15th birthday in 1892. When we visited Cobh the sun was so bright that I couldn't see. I put my bag down to get my sunglasses out and when I stood up I found myself being pointed at, much to the amusement of Dad! There are many statues around Cobh, so if you get the chance I'd recommend a walk to find them all. John F Kennedy Park is a small area right on the harbour, just a minute's walk from the port; it was named after the American president when he visited Cobh in 1963. Much like the town the park is very peaceful with very few people walking through. There's a small bandstand and some benches that look out onto where Titanic moored in the bay which now serves as the perfect viewing point to welcome and wave off visiting ships. This statue is called "The Navigator" - you can't see from the picture but the man is holding an origami boat in his hands. The statue symbolises God protecting people (the ship) from stormy waters. If you're in Cobh on a Friday morning you'll see a few tents pop up at the end of Kennedy Park. We were curious so walked along and found ourselves in a mini-market. I say this because there were probably only 6 stalls there but everyone was so welcoming and happy to chat. There was the most incredible smokery selling everything from smoked salmon and mackerel to butter and cheese. There was also a baker selling the best bread you've ever seen. As we couldn't take anything back on the ship the man on the smokery stand told us to buy some bread from the bakery stall and he'd make us a sandwich - it cost €5 total and was the best sandwich I've ever eaten. It's only on on Fridays from 10am-2pm so you have to be quick, but it's well worth a visit if you're in Cobh. 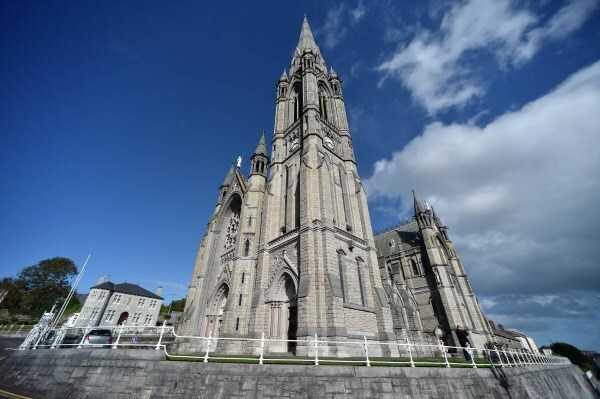 While you're walking around Cobh you can't fail to notice the impressive cathedral that watches over the entire town. It's a bit of a walk from the harbour, but the beautiful building and incredible views over the bay absolutely make it worth the walk. Our driver took us to the cathedral on the way back from Blarney so we got to admire the lights of the town after dark but couldn't get a photo of the cathedral for you, and of course we weren't able to go inside. However, everyone else we spoke to said the view is just as incredible during the day as at night so if you have time I would definitely recommend a visit. There we are, 13 things to do in 24 hours - I still can't believe how much we managed to fit in! 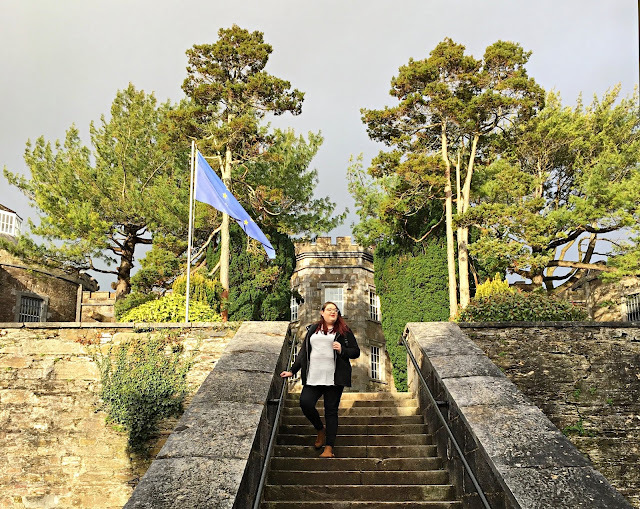 Having not heard a lot about County Cork I was amazed at how much there was to do - I prefer to go for walks to explore the town and learn about where we're visiting but if you're more active there's also a lot of things for you to do, I just can't speak from experience!! I also want to say a massive thank you to Port of Cork for arranging a car for the day with the friendliest driver ever - John was basically our tour guide and itinerary planner. 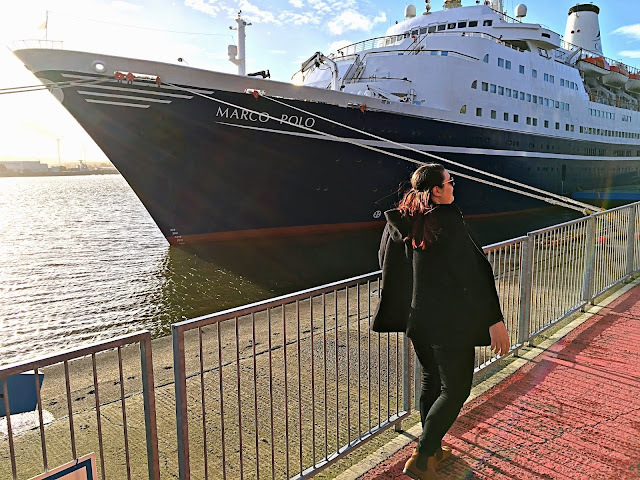 If you've watched the vlog or you're wondering about the ship I'm stood in front of, then make sure you read my review of MV Marco Polo, and if you're looking for somewhere else to visit check out my What to do in Lisbon post. Leaving few comments to help you out (bloody Google+) . I never been to County Cork but you sold it to me. I will try to convince my husband to take me there. Also lovely pictures.